The iPad is a great method to register patients while they are waiting to visit with the doctor. 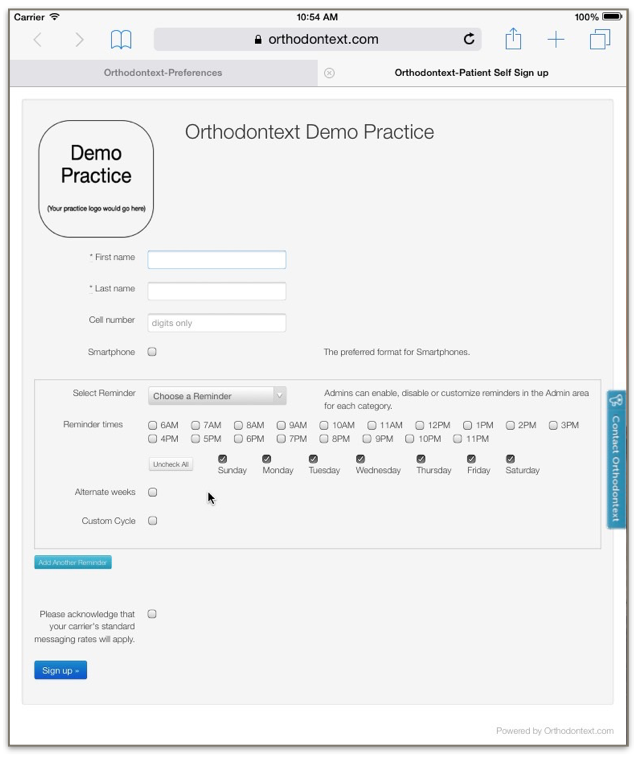 This is a step-by-step guide on how to install the Orthodontext QuickLinks onto your iPad. Step 9. 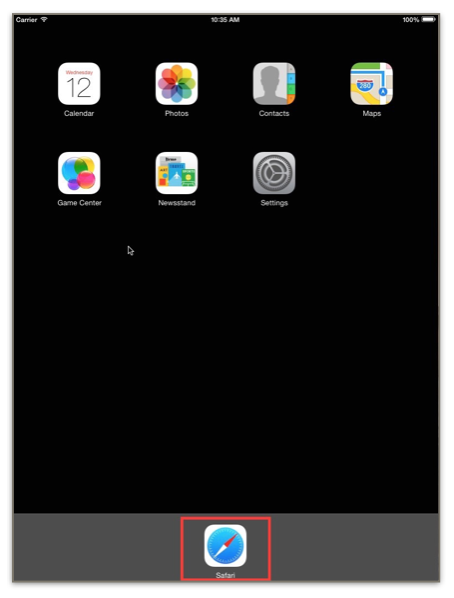 Go to the iPad home screen and click on the new orange Orthodontext icon. It might be a new screen. This is the Patient Signup QuickLink. Step 10. You are instantly ready to enter a new patient without a password. Step 11. Go back to step 5 and click on the second “Click here to see“ and repeat steps 6 through 9 to create the green patient login icon. This icon is used to edit patient reminders as needed.